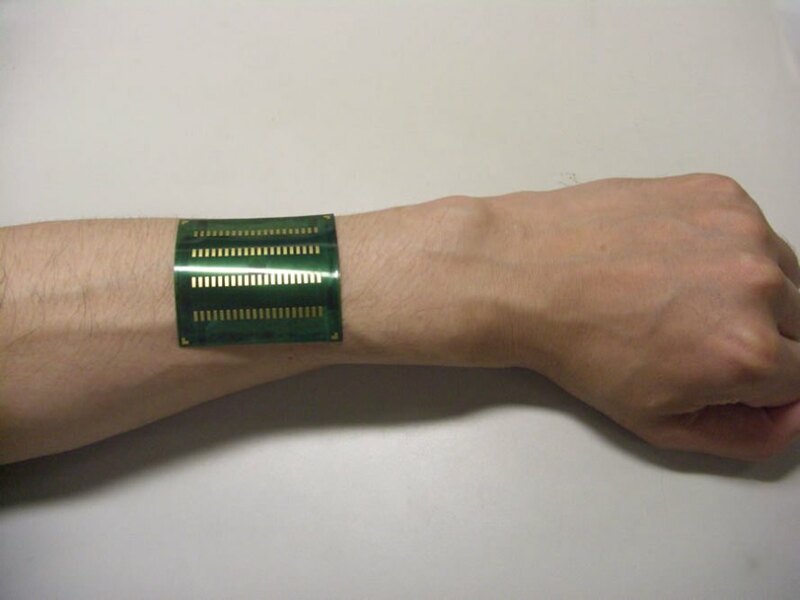 In a giant step for wearable technology, Fujitsu recently unveiled a high-tech bracelet generator that runs on both solar energy and heat from the wearer. The device contains no electrical wiring nor battery replacements, and it can be completely powered by body heat and the sun’s rays. Fujitsu plans to expand upon this prototype, and hopes to produce products utilizing the technology by 2015. Fujituu said that the technology will most likely benefit the medical industry, where such devices can be used to power small life-saving devices. In a giant step for wearable technology, Fujitsu recently unveiled a high-tech bracelet generator that runs on both solar energy and heat from the wearer. The device contains no electrical wiring nor battery replacements, and it can be completely powered by body heat and the sun's rays. Fujitsu plans to expand upon this prototype, and hopes to produce products utilizing the technology by 2015.